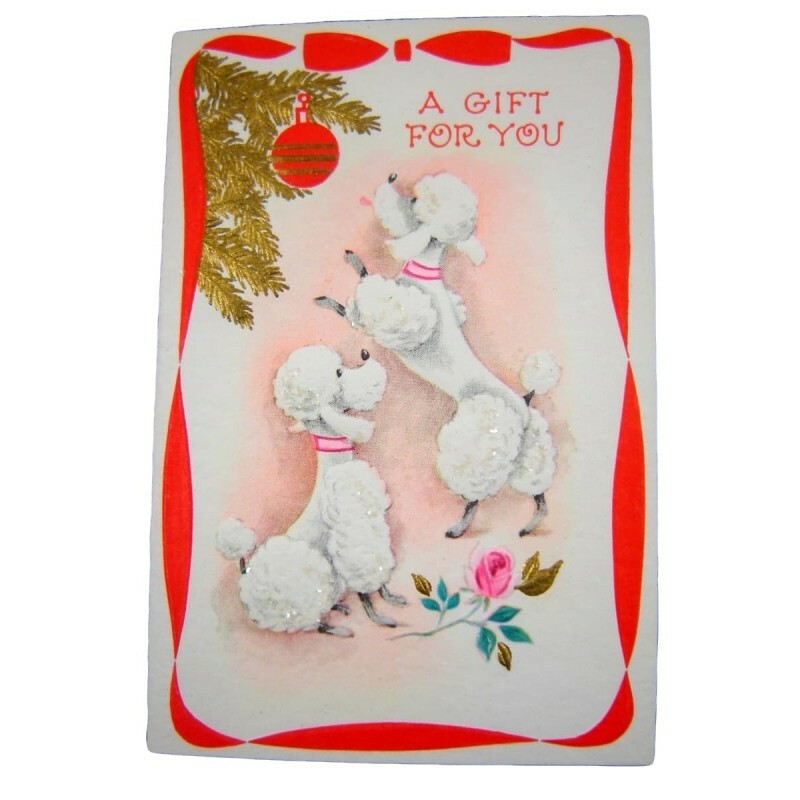 This unused vintage poodles Christmas card is small in size, but huge in charm, featuring two embossed white poodles, dressed in a touch of glitter and red-pink collars, standing near a Christmas tree. 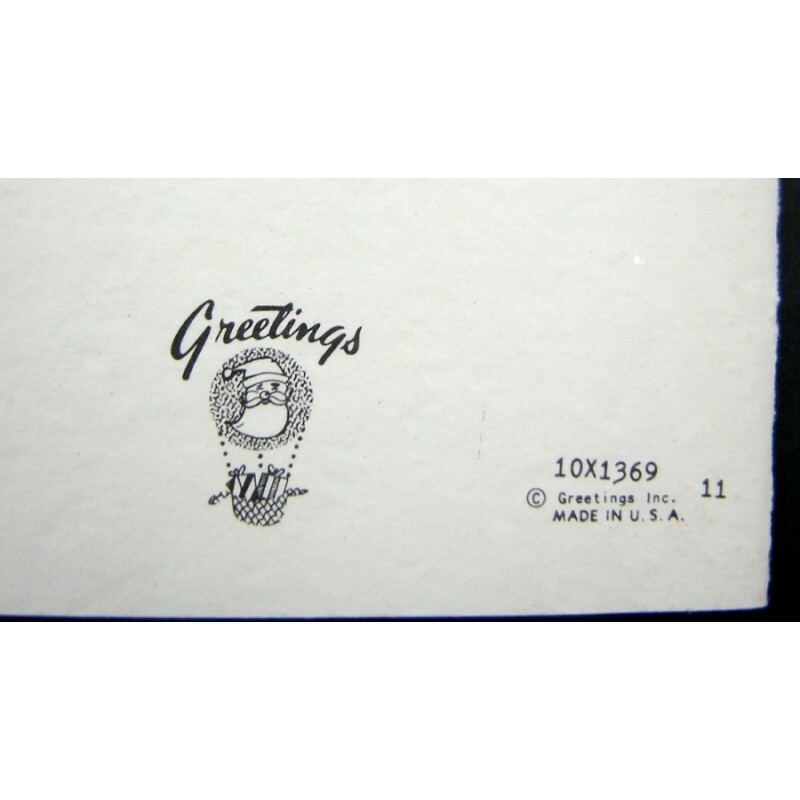 The greeting reads: 'A gift for you [open card] Hope you'll like it, too! 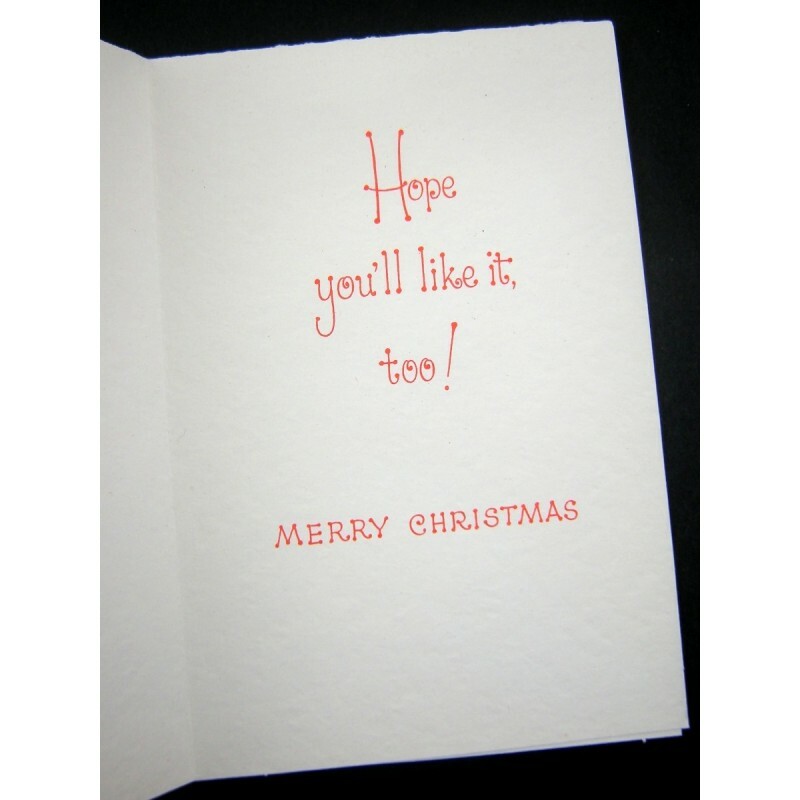 Merry Christmas'. 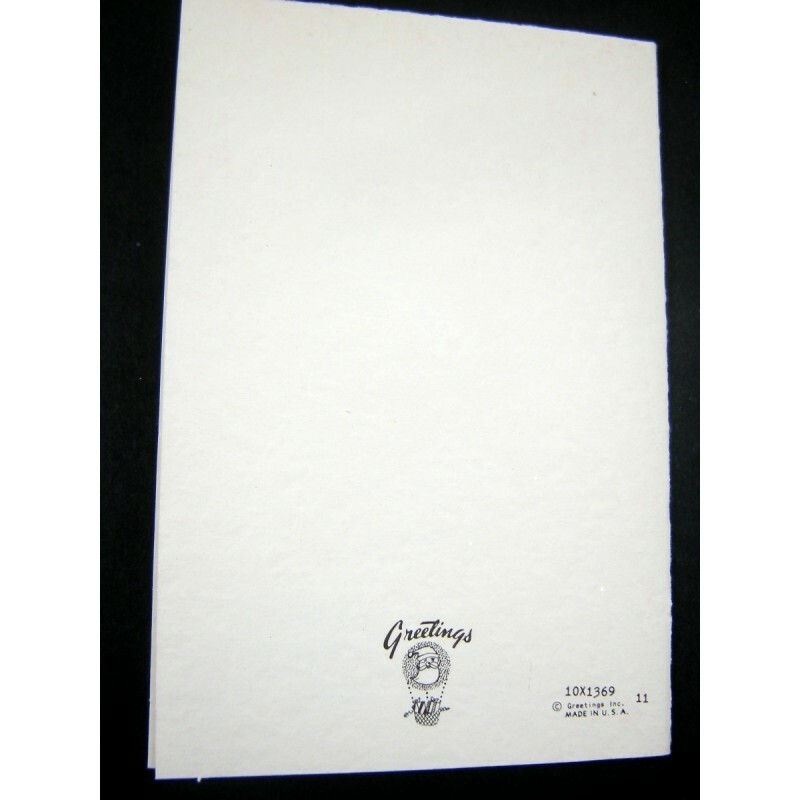 If you're a collector of vintage cards, you'll find more vintage greeting cards below.